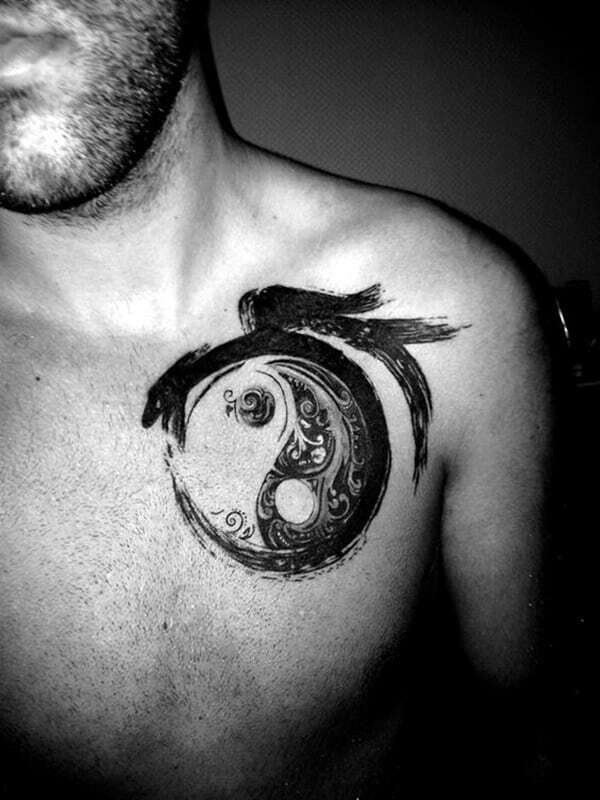 If you want a tattoo that speaks of peacefulness and harmony then you can’t go wrong with a Yin Yang tattoo design. 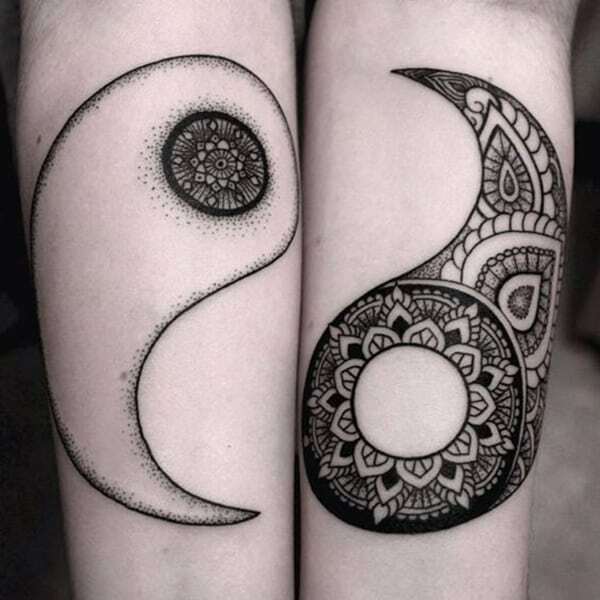 Chinese philosophy is all about the Yin Yang symbols, and they make for some pretty cool designs. 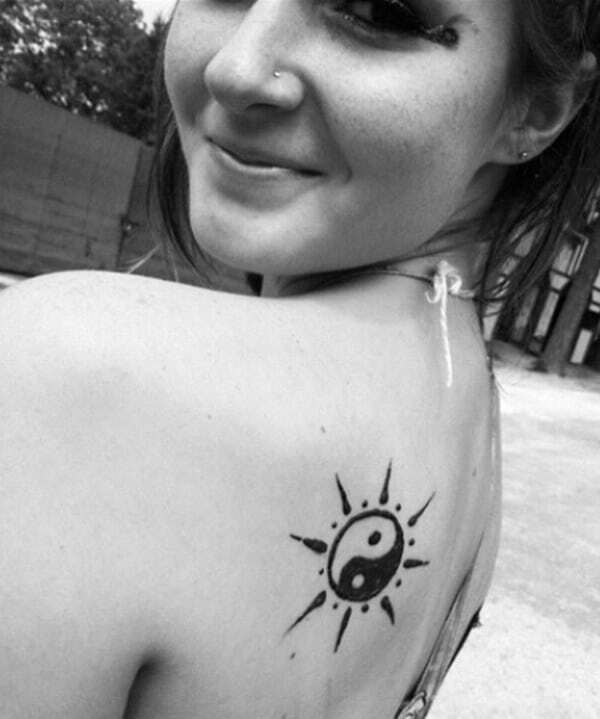 The Ying Yang represents a balance in life. 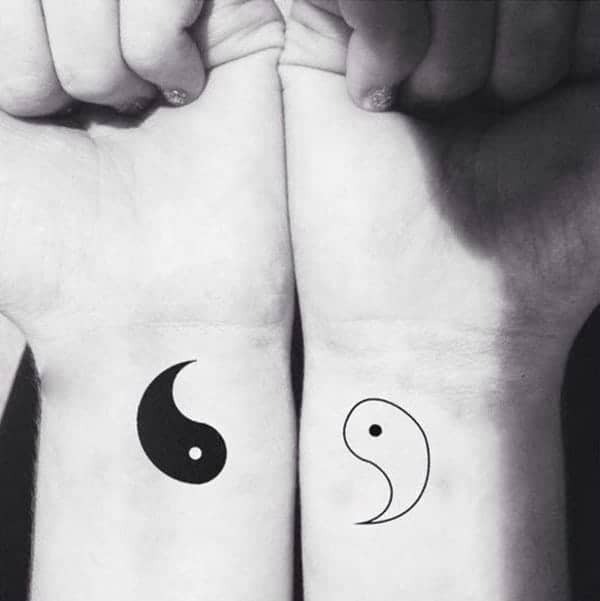 The Yin Yang is about opposites that interact with one another and the kinds of conflicts that are brought into our lives. 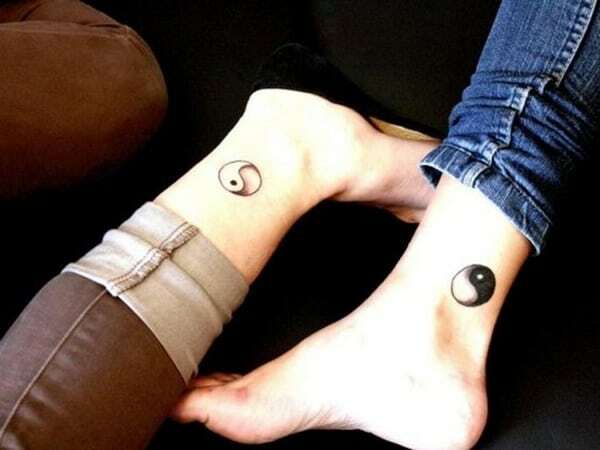 The Chinese believe that if your Ying Yang is out of balance, then it can bring evil into your life. Goodness will not return until balance comes into your life. 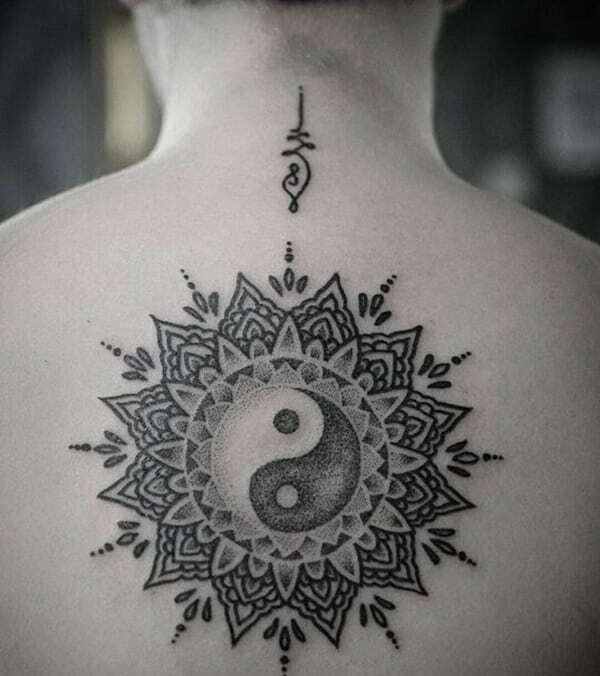 The Yin in the design represents the dark in all of us while the Yang represents the light. 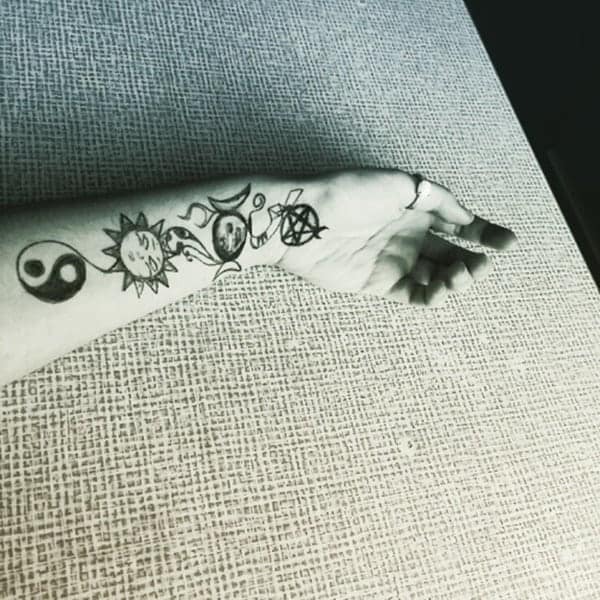 These symbols can be interpreted in many different ways and how you take that depends on your own belief system. 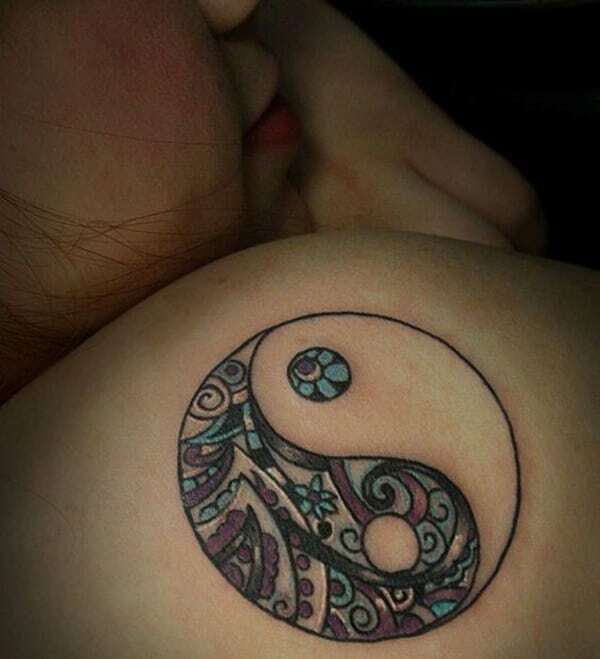 Get a design with a friend or a lover like this one where one person has one side, and one person has the other side. 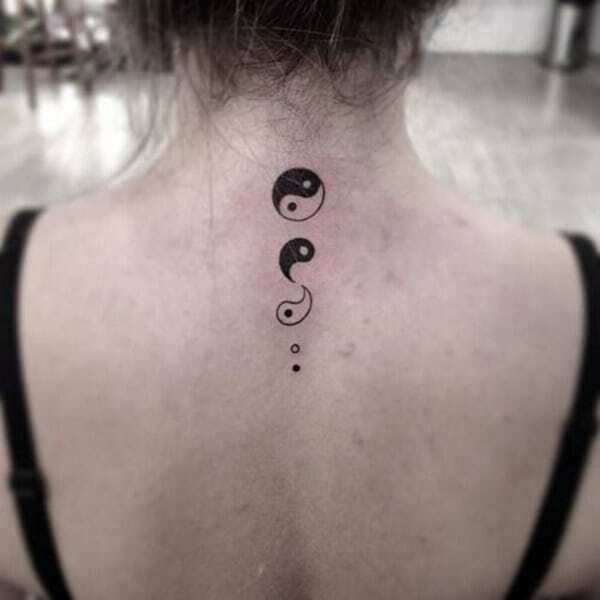 This tattoo is the traditional Yin Yang design, and it’s simple. 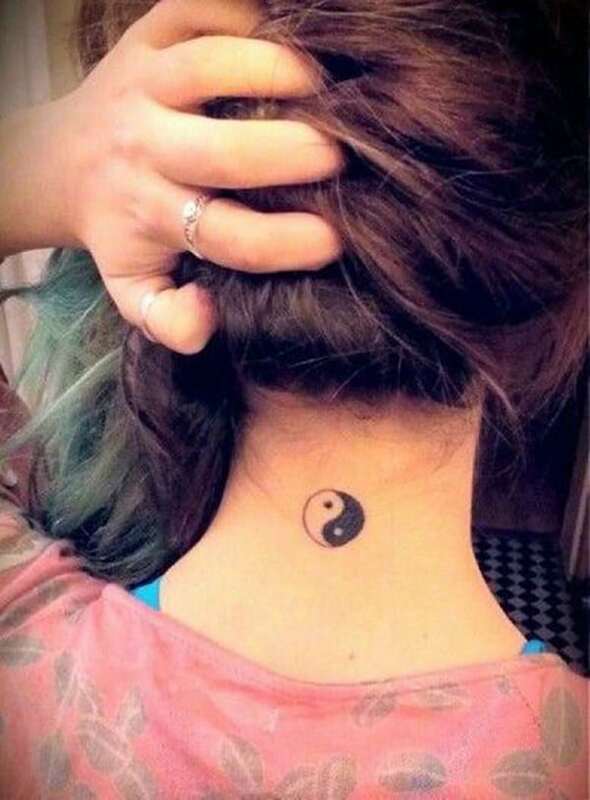 Each half is different and has a completely unique element to it. Beautiful! 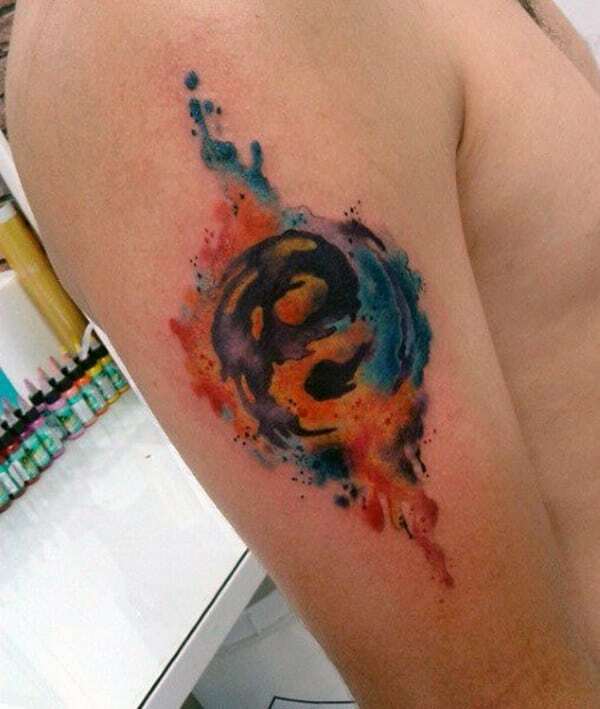 I love these designs that look like they are painted on, and those colors are gorgeous. Purple and blue always look great together. 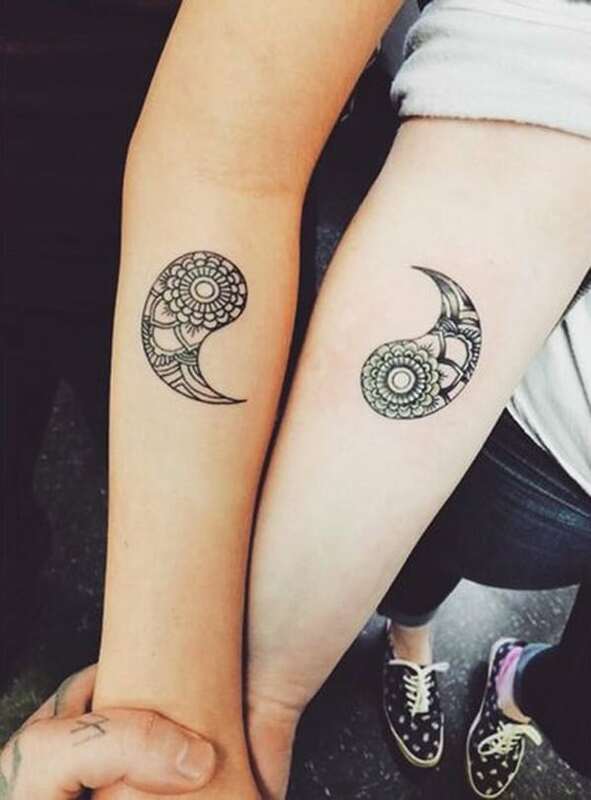 A unique design that shows the moon and the stars on one side of the symbol. 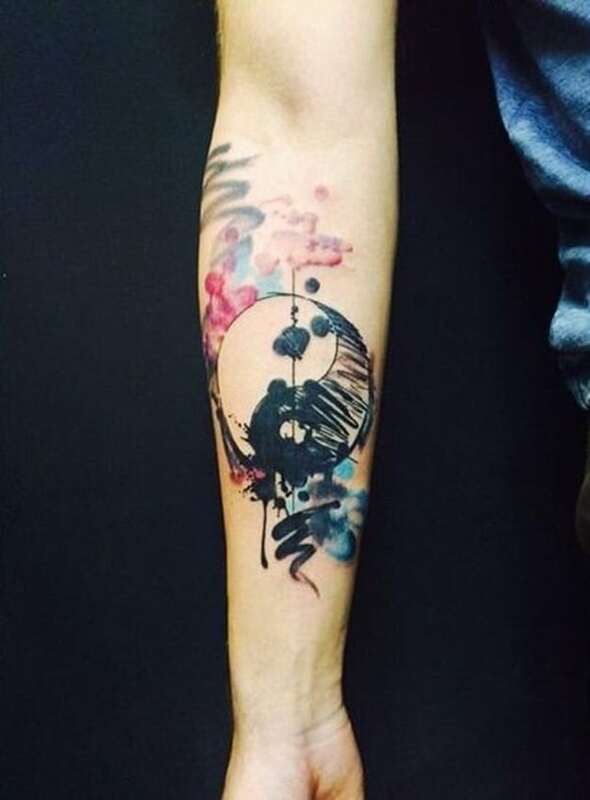 This design is unique because it looks like it was painted on, you can see the brush strokes. 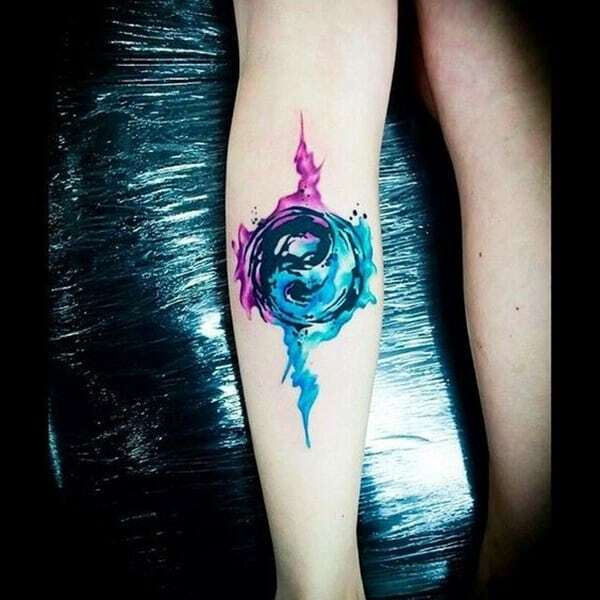 An amazing design that looks really cool. 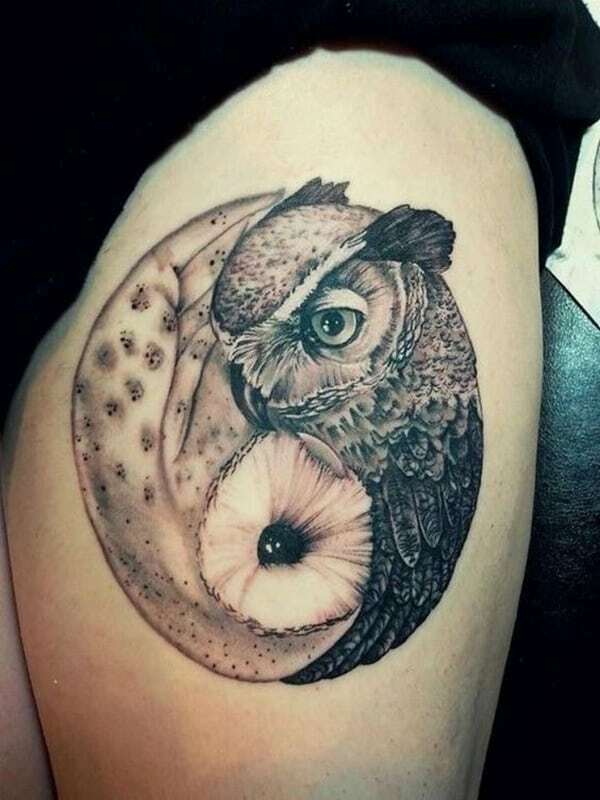 This is an incredibly beautiful and detailed design with two different owls creating the shape of the Yin Yang. 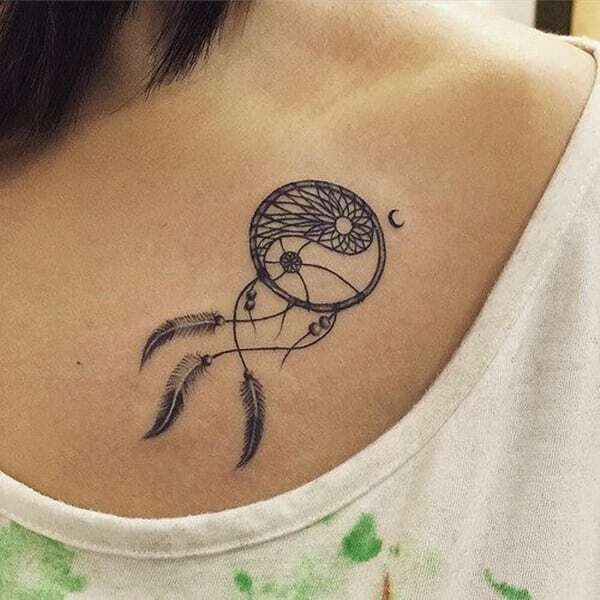 A very unique take on the dreamcatcher design. 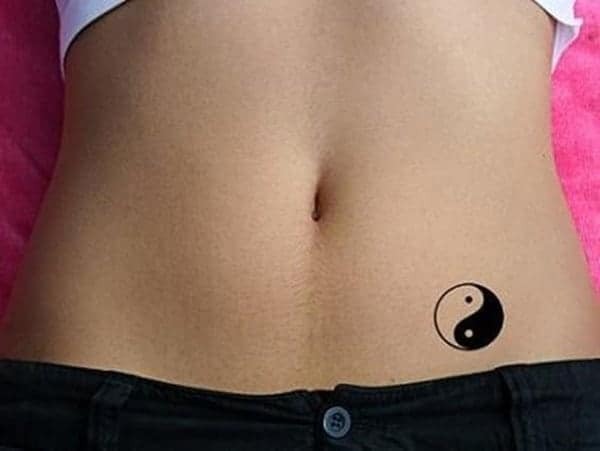 A tiny Yin Yang symbol that can fit anywhere. This sketchy design looks like a work of art. 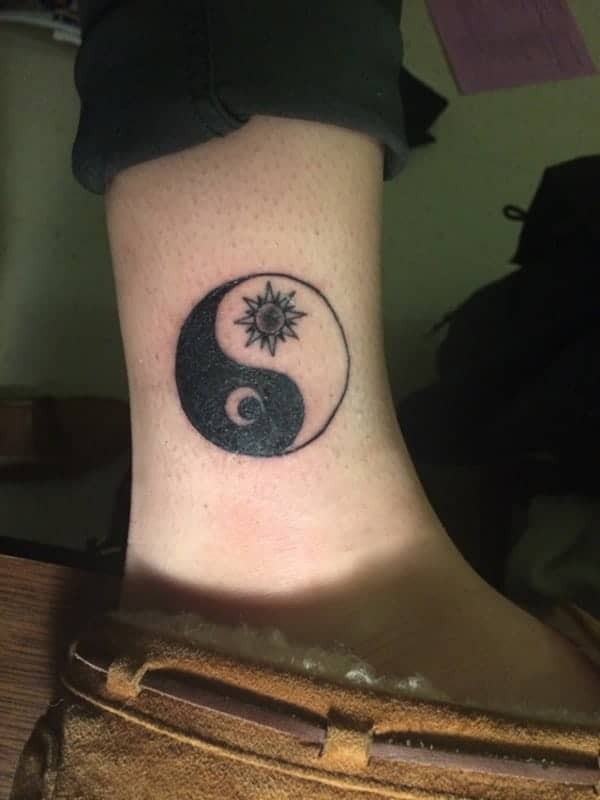 A unique symbol that has the sun and the moon together to create a wonderful image. 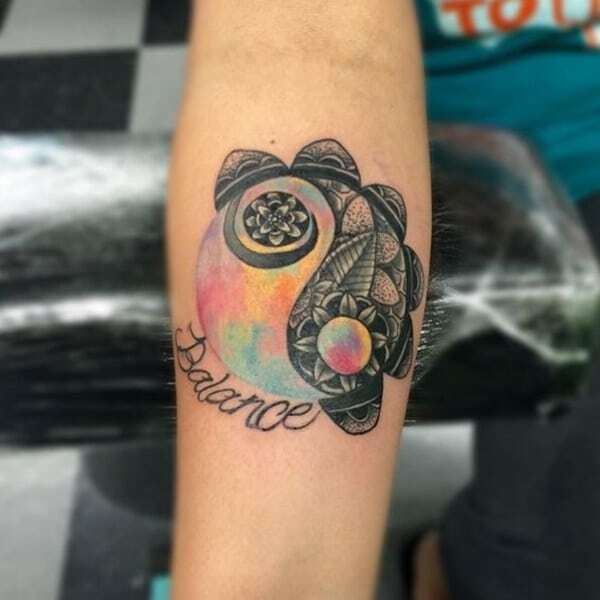 Splashes of color amongst a geometric design that creates a Yin Yang symbol. The blue looks great. An ornate design with the symbol inside. 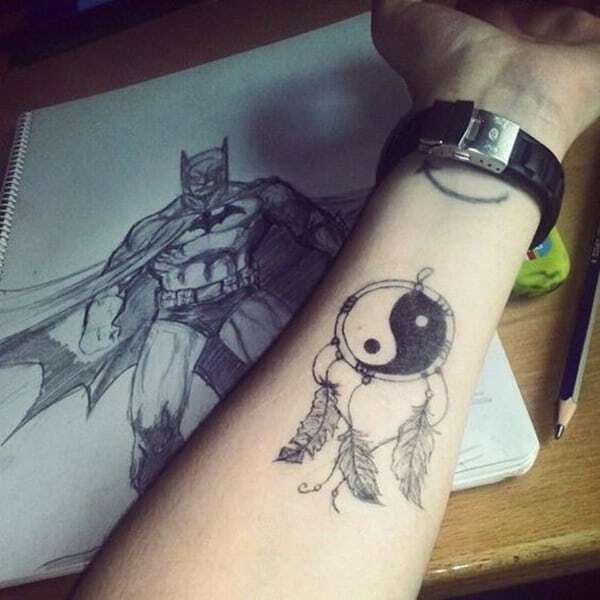 Have the sides of your symbol show your true passions; these scenes are stunning. If you loved the movie Wally, then you would love this design. 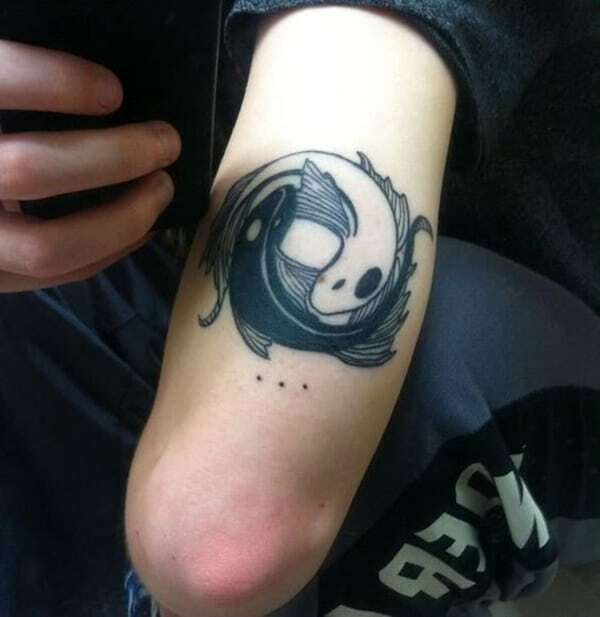 These designs have two fish creating the Yin Yang symbol. 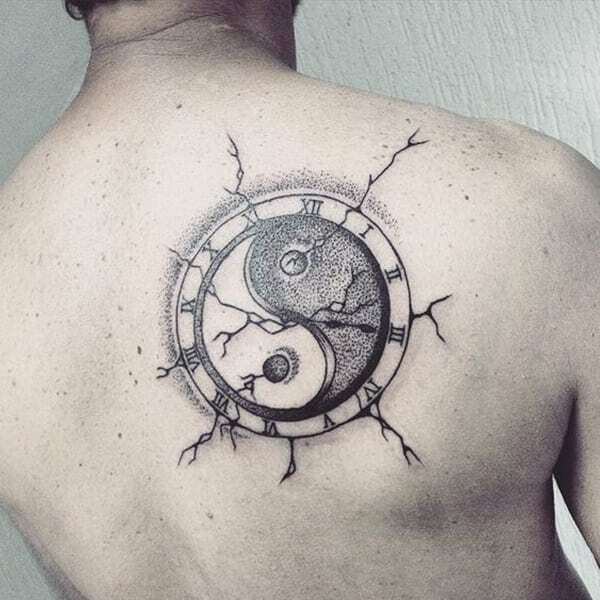 Another great tattoo design of the traditional Yin Yang symbol. Another great example of scenes inside the symbol. 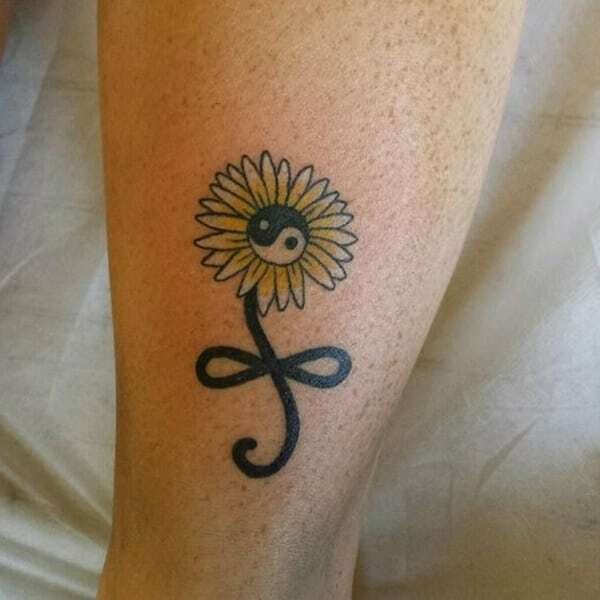 A flower that showcases the symbol inside it. 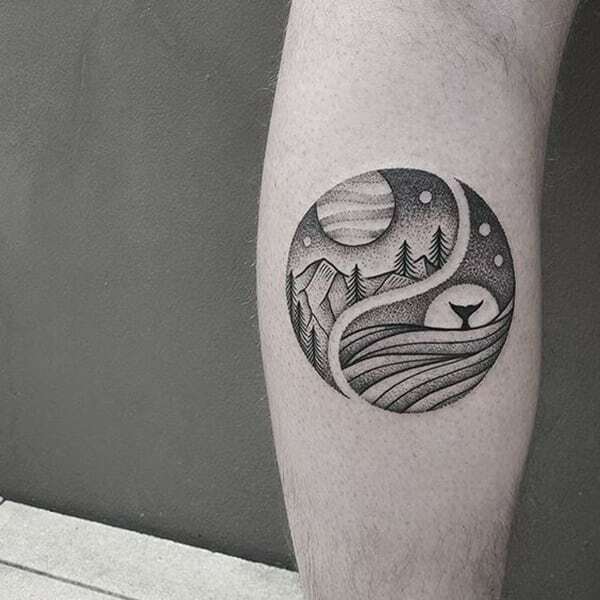 A striking design that looks incredibly cool. 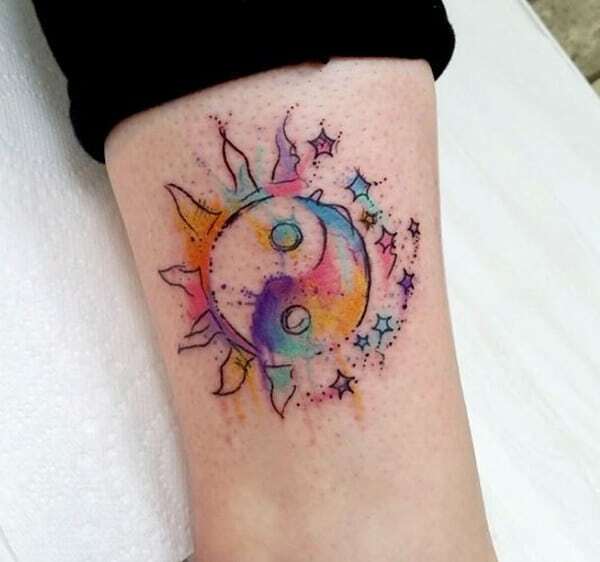 The colors on the tattoo make the design so much better, you won’t get a better tattoo. 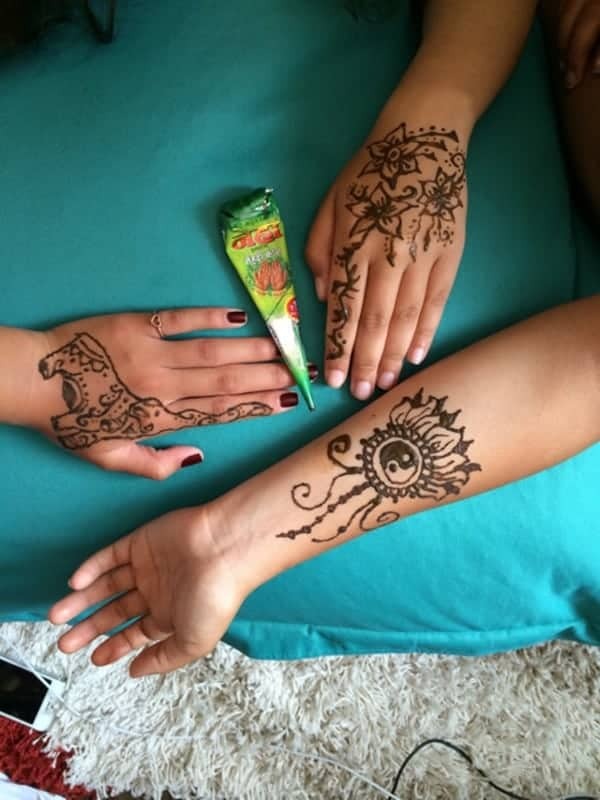 Small designs that can be shared with friends. 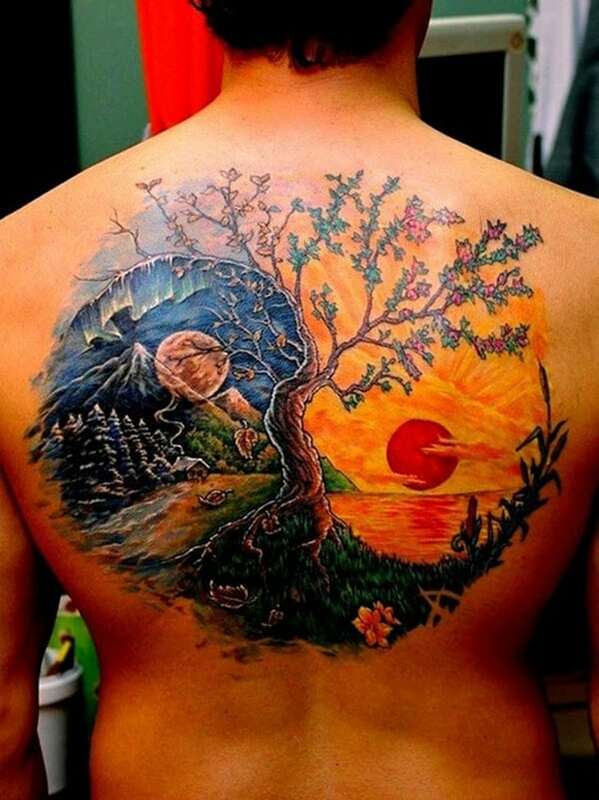 A stunning back tattoo with bright coloring and intense detail. 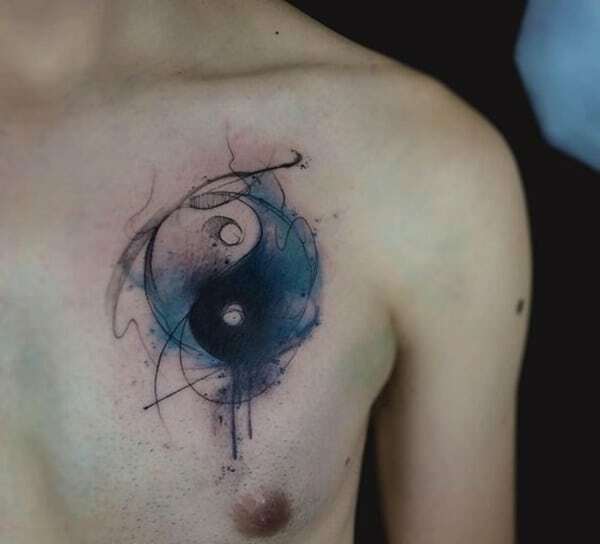 You won’t find a more beautiful example of a Yin Yang tattoo. 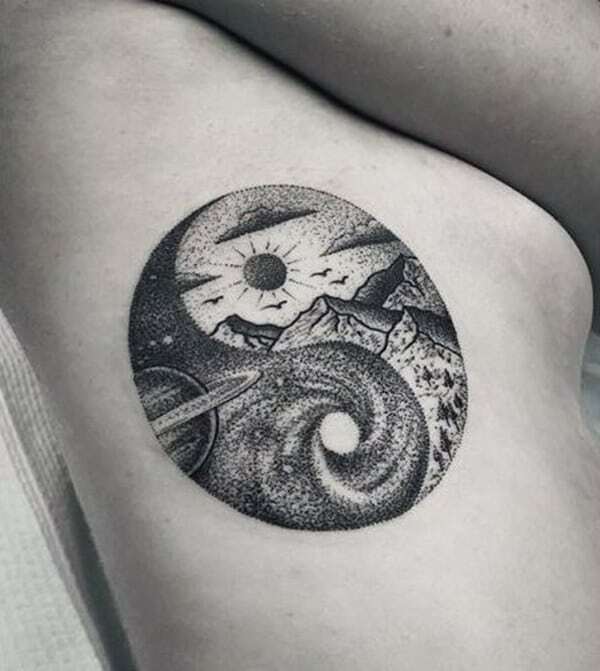 A unique design that has a sunset on one side and the sea on another. 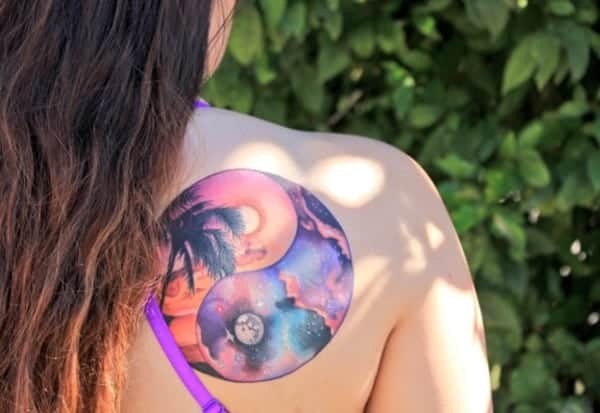 I love these painting tattoos because they are truly unique. 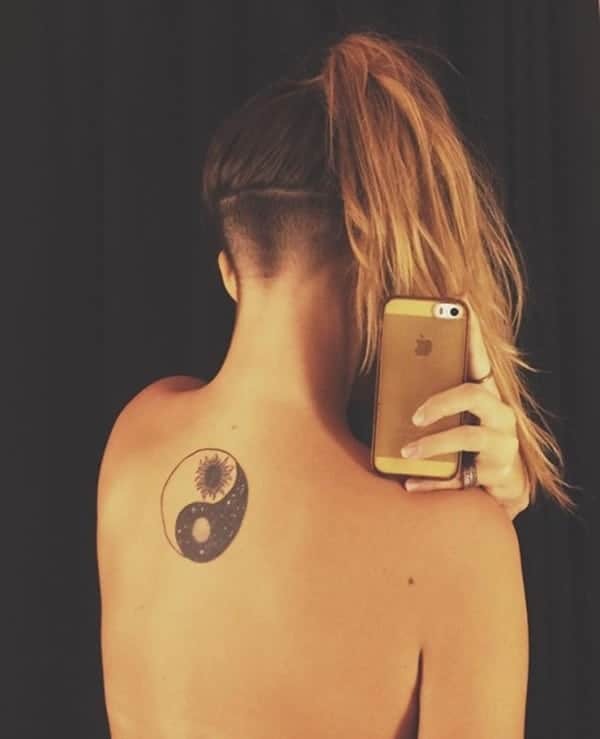 This design is unique because of the scratchiness of the tattoo design. 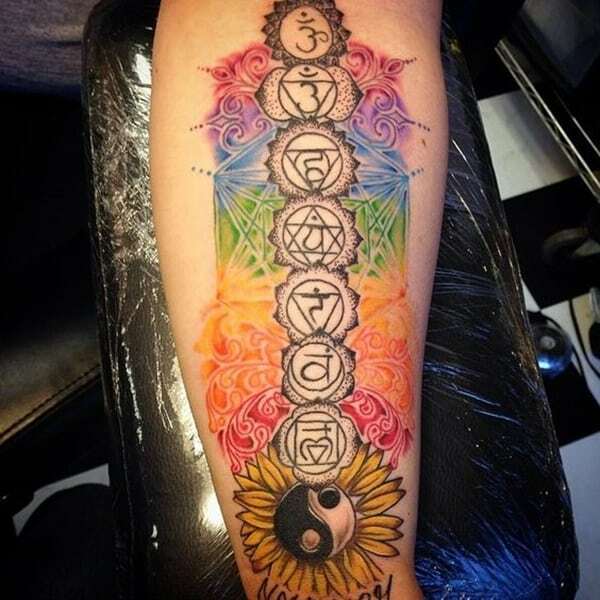 I love this beautiful design because it’s creative and the colors are breathtaking. A crack in the surface, this design looks like it’s really part of the skin. 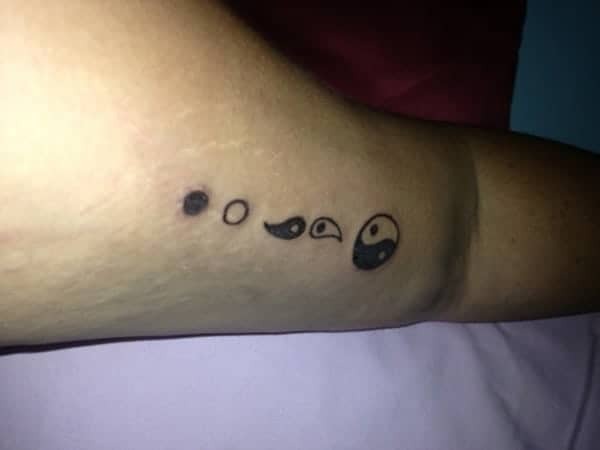 A great tattoo that shows the different stages of an eclipse. 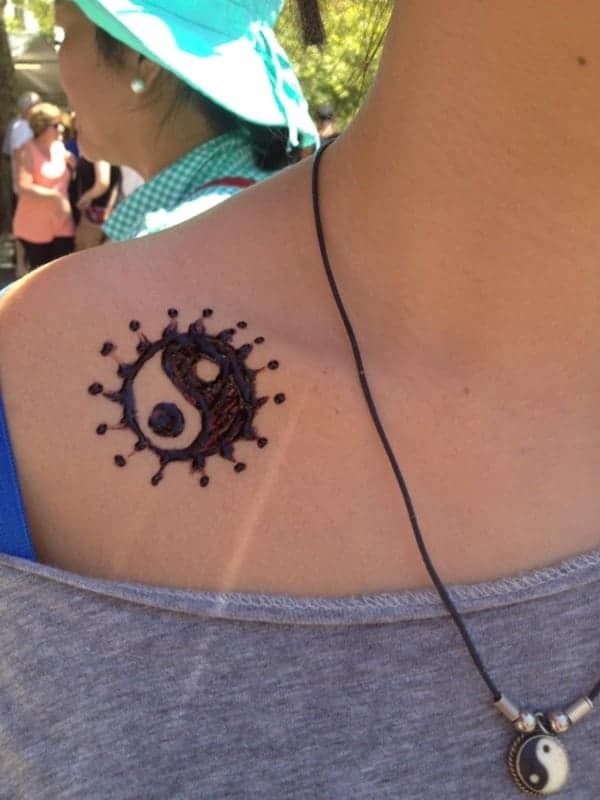 Another great example of the Ying Yang symbol as a dreamcatcher. 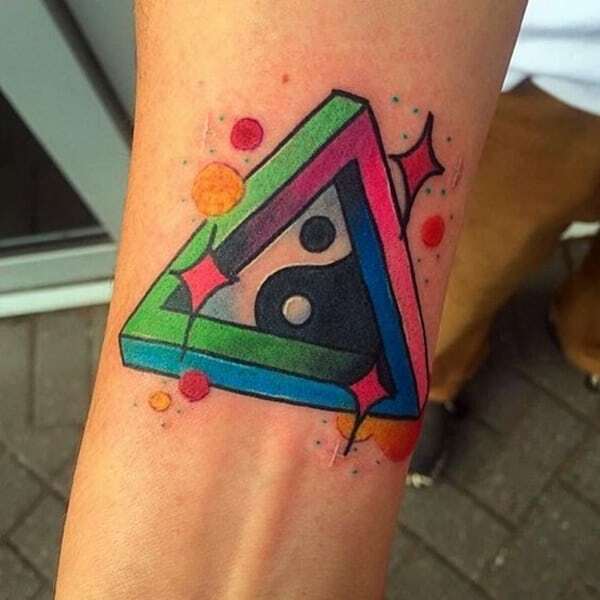 Forget the circle and do a colorful triangle instead. 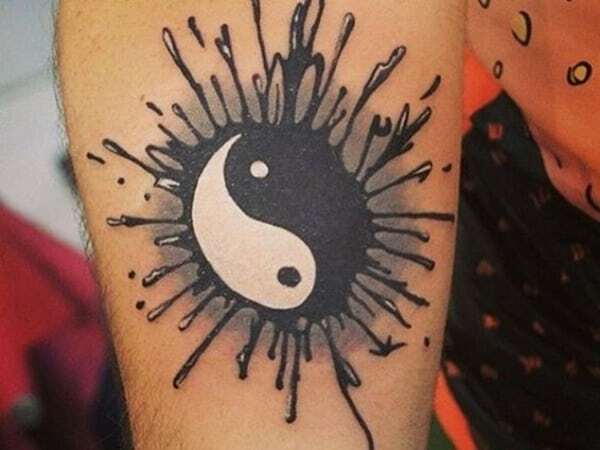 This symbol is large and fits nicely on the arm, go big if you want to make a statement. 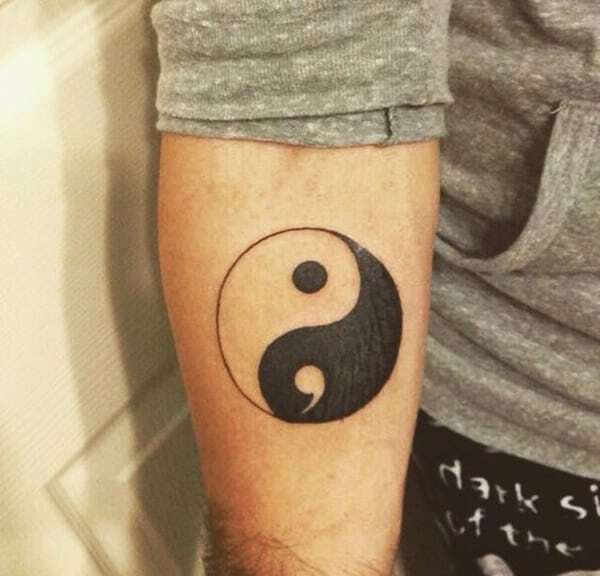 A symbol that looks like it was just thrown in the black paint. 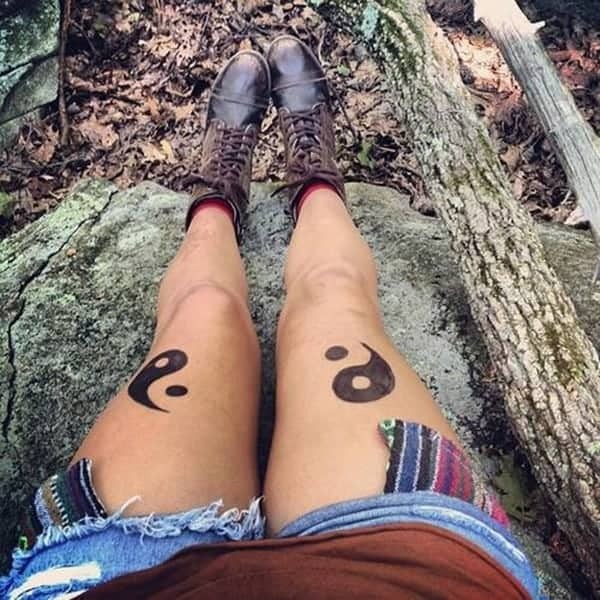 A truly unique look if you want something different for your symbol. This beautiful stained glass look will make anyone happy. 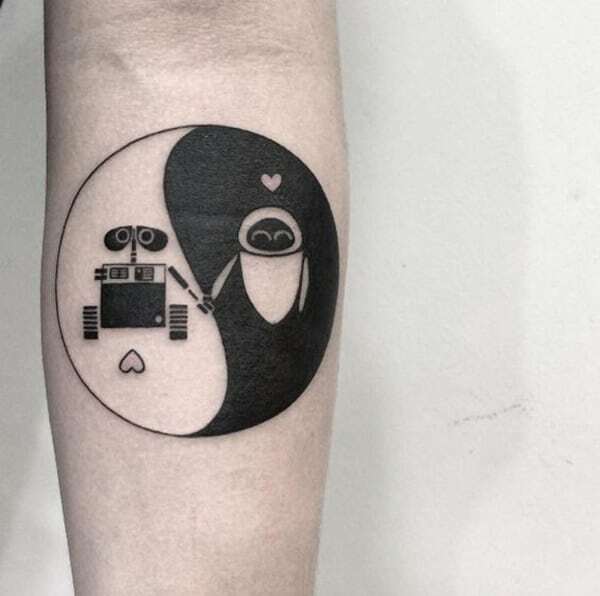 Another great example of how you can share your tattoo with your loved one. A large floral design that has the symbol on the inside. 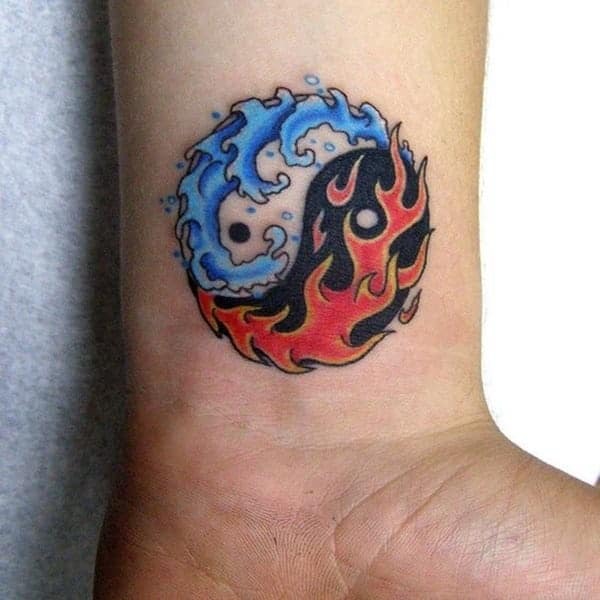 This symbol is fire on one side and cold as ice on the other. The colors are rather extraordinary as well. 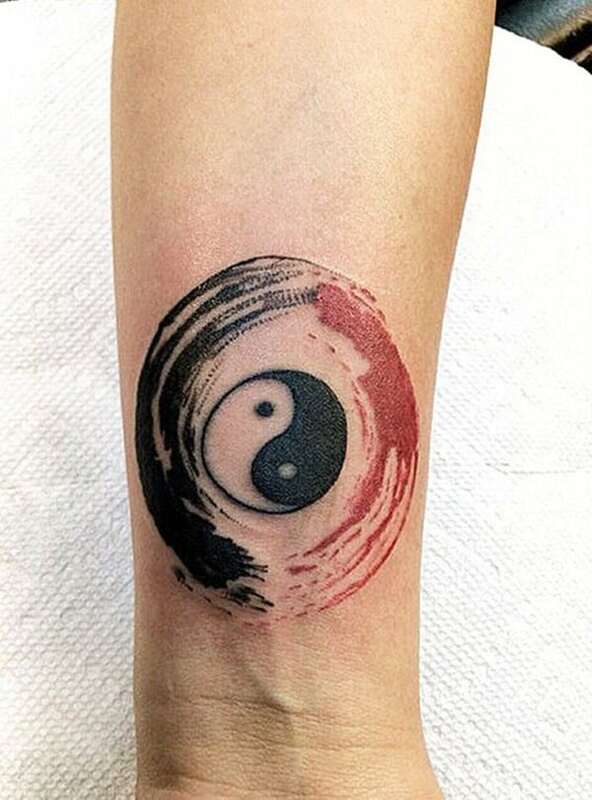 I love the red and black that contrast together with this tattoo. 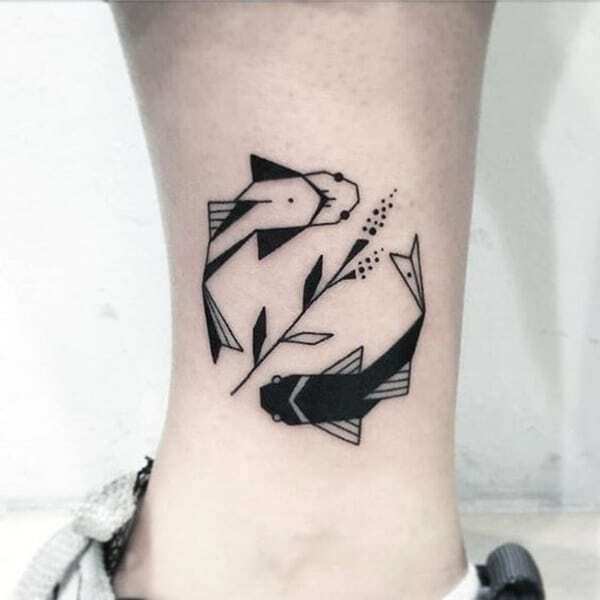 The balance of nature is shown with these two fish swimming in the symbol. 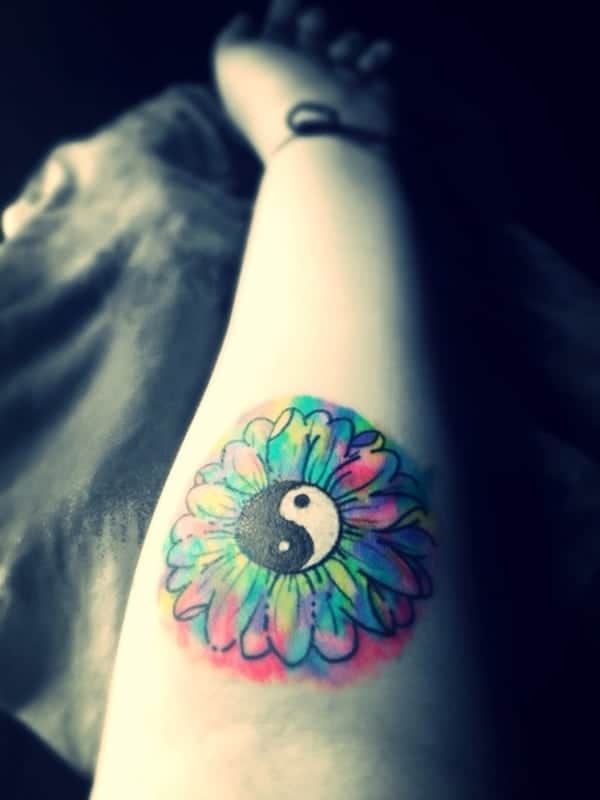 If you love daisies, then use it as part of your tattoo design. 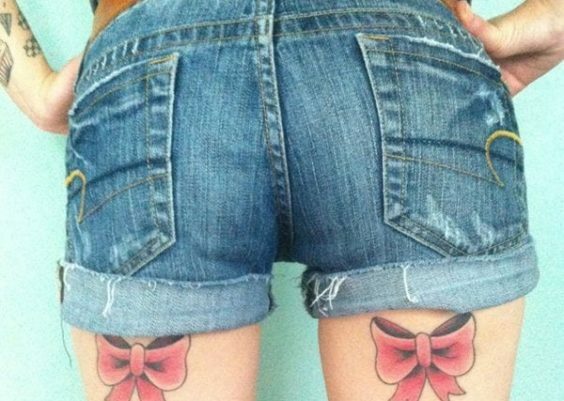 Another great example of the traditional symbol on the waist. 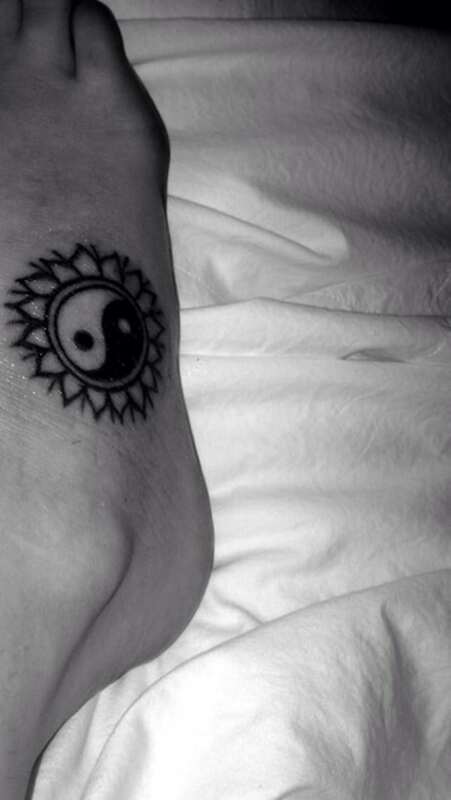 Each side of the symbol is on a foot creating a great design when the feet come together. 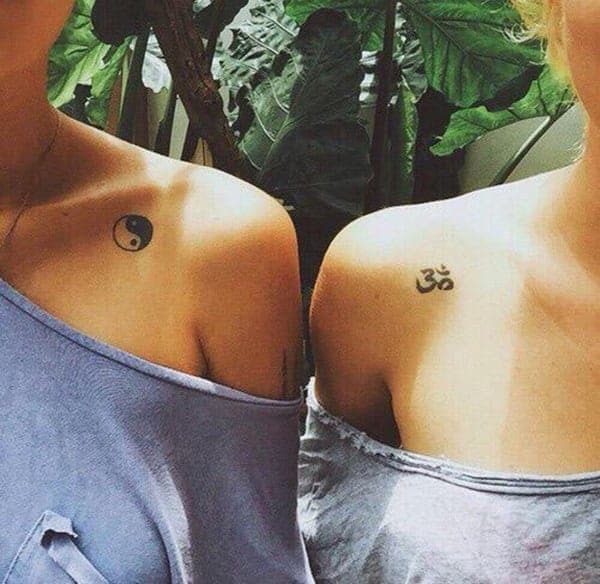 Another example of the Yin Yang symbol that can be shared. 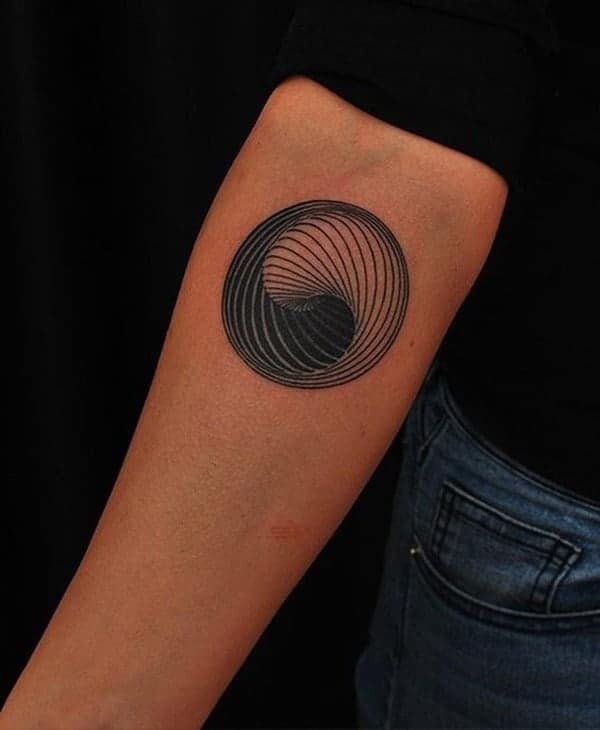 This cool design looks like it is coming right out of the skin. Another great example of the balance between fire and ice. 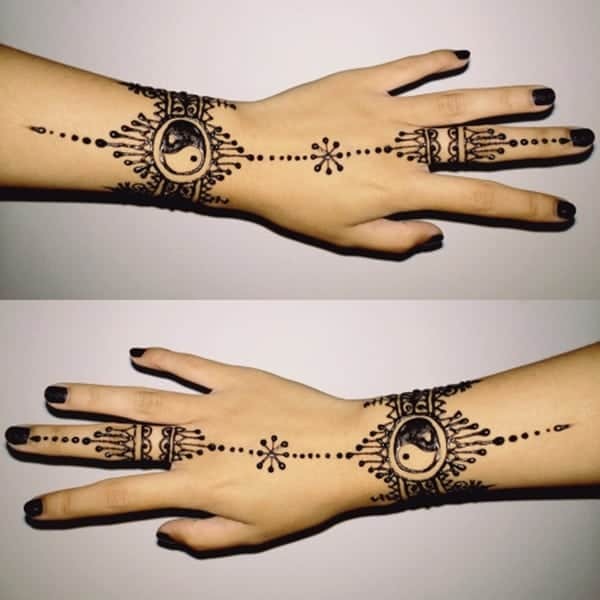 You won’t be able to take your eyes off this design; the lines are very intriguing. 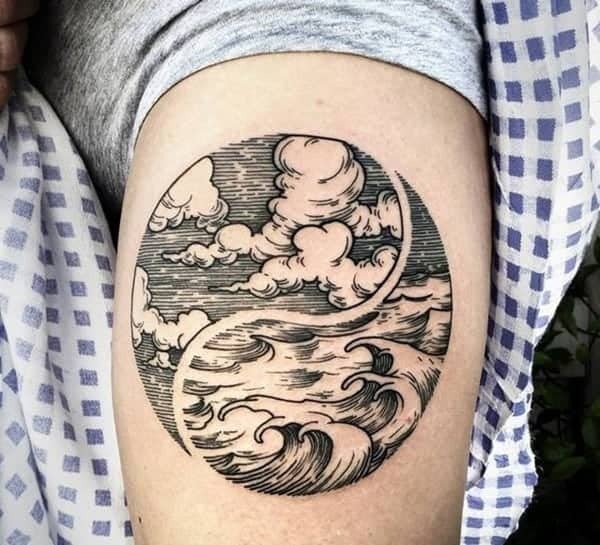 A unique design that shows the water as well as the sky. 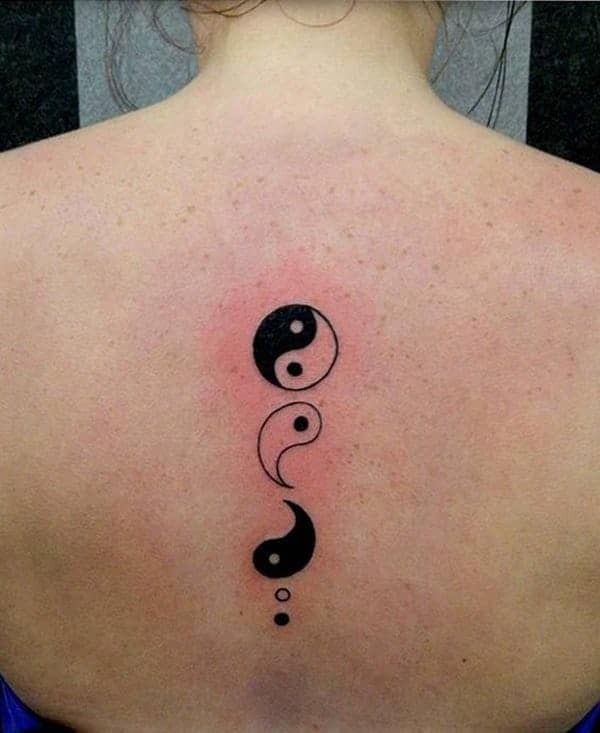 Another great example of the eclipse design for the Yin Yang symbol. 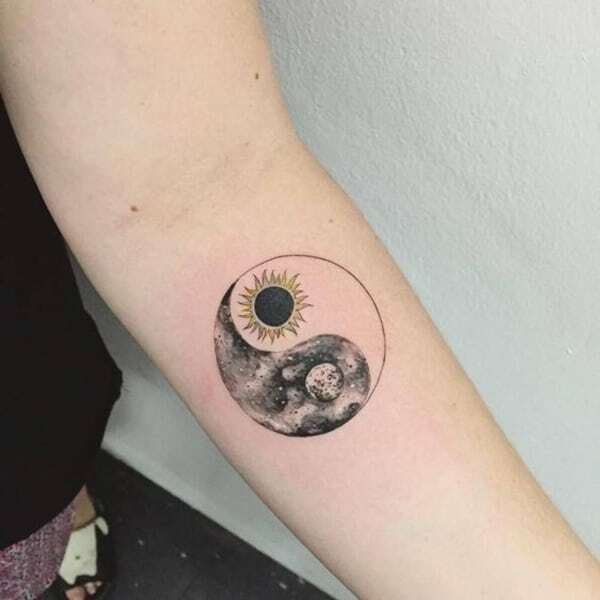 Another example of the eclipse design but this one is on the arm. 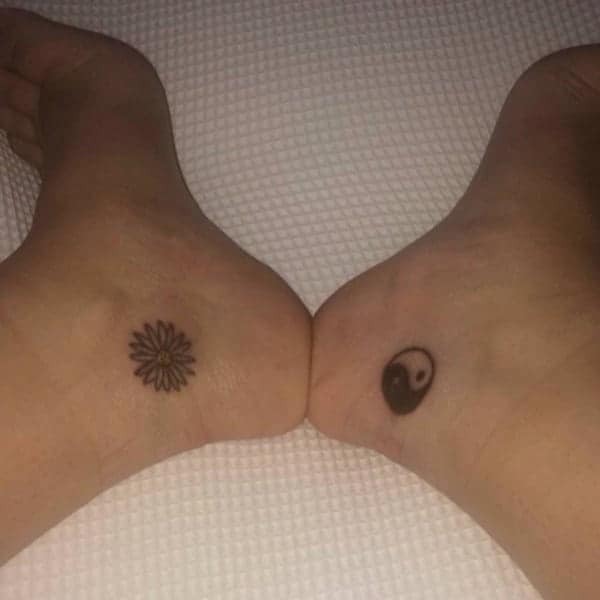 A great design for the foot that has the symbol in the form of a planet. 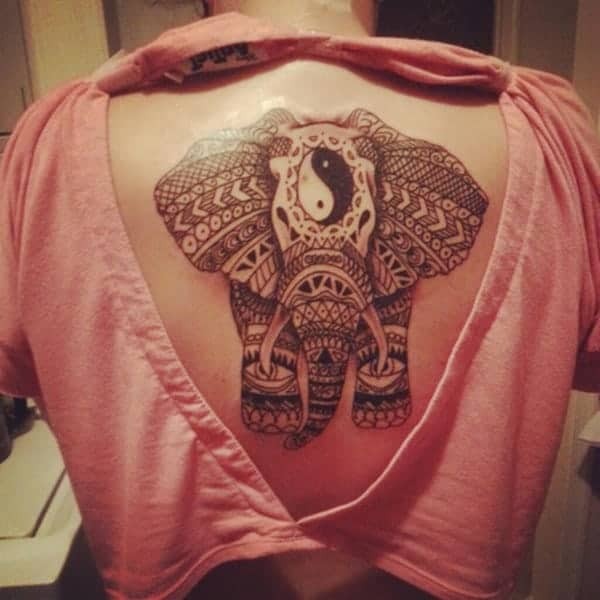 This incredibly detailed elephant tattoo has the symbol on the head of the elephant. 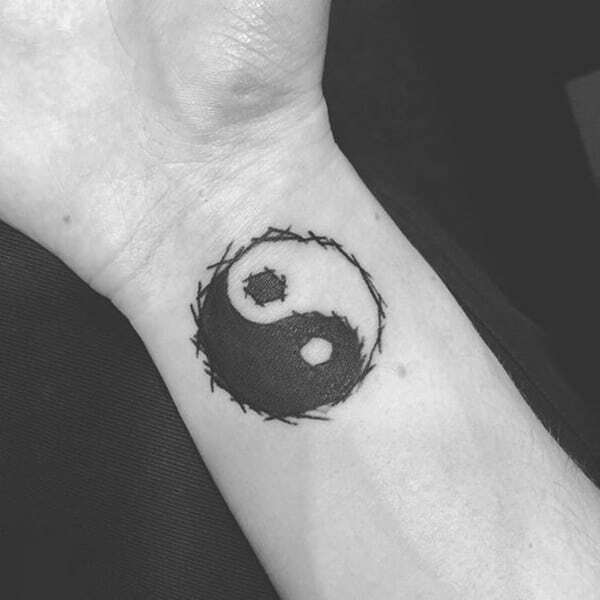 A great example of the traditional symbol on the wrist. 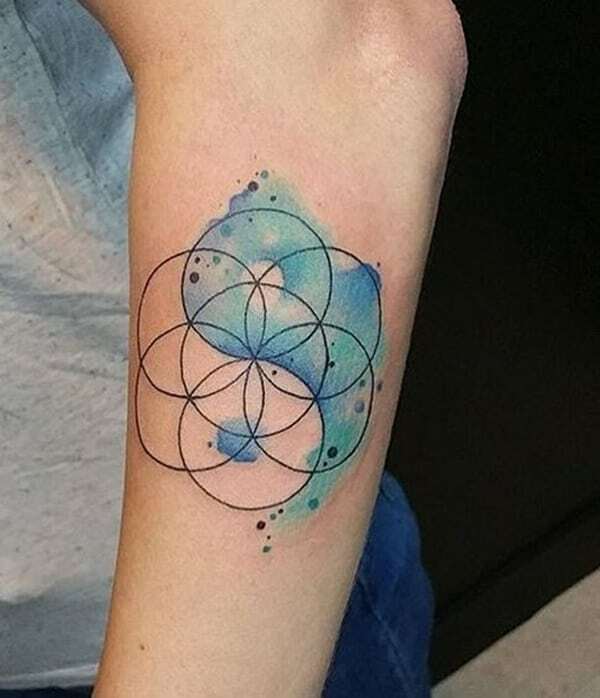 This symbol has some truly unique designs on the inside of it. 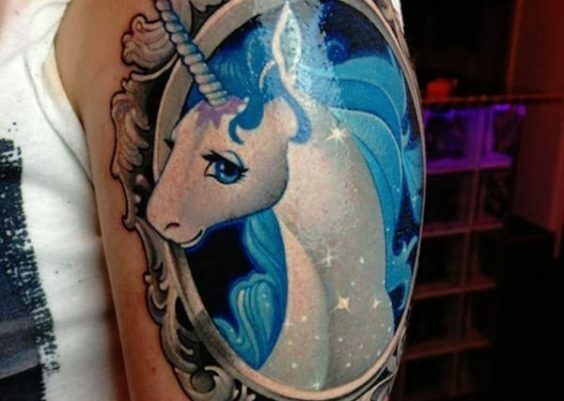 You won’t find a prettier tattoo. 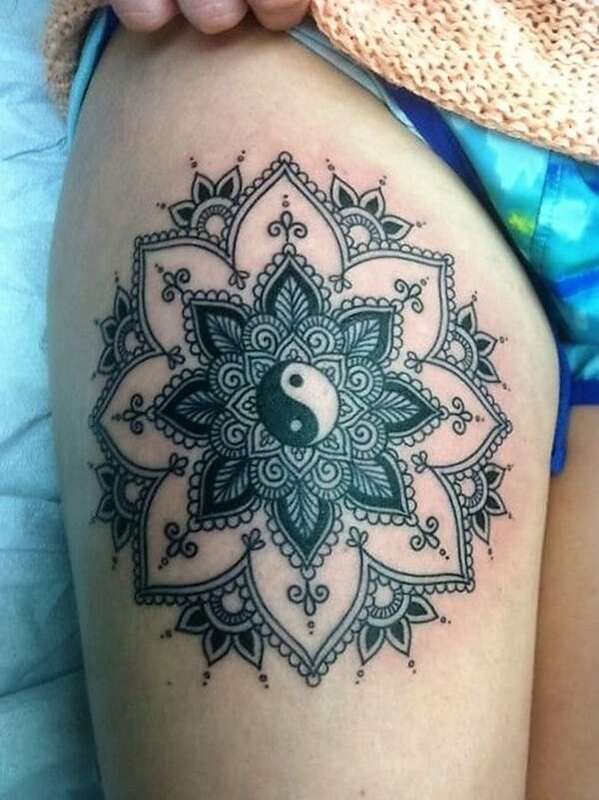 A stunning and detailed design with the symbol on the inside. 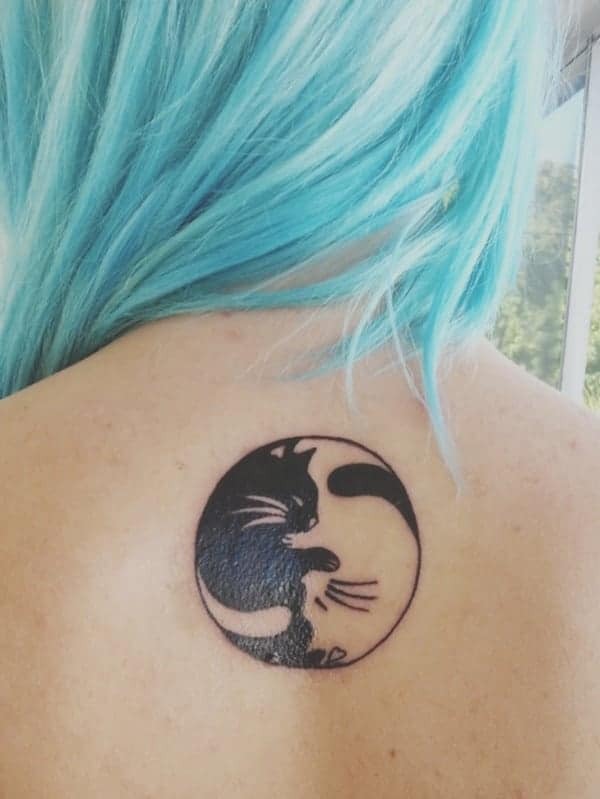 If you want a symbol that is different then look no further than this one. 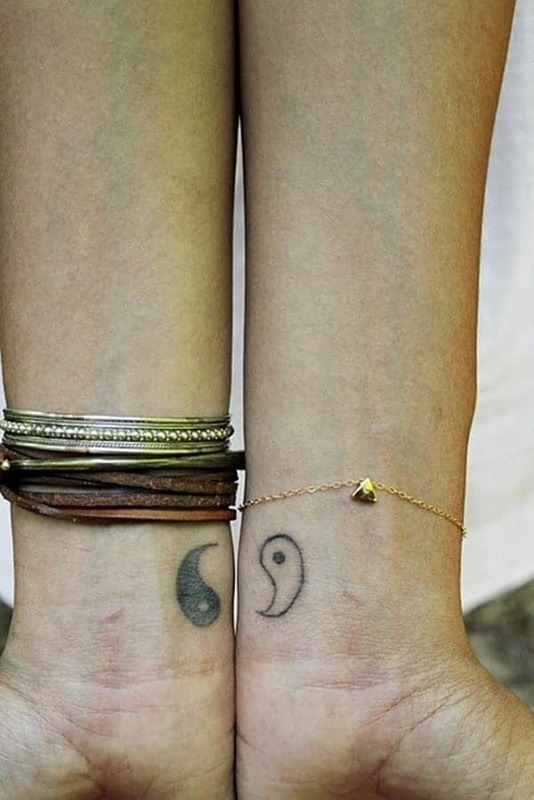 Break up your design and have one side on each wrist to create a unique tattoo. The bright colors are the best part of this amazing design. 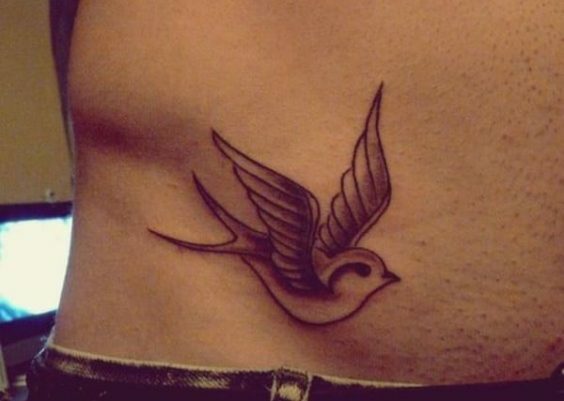 A symbol that is made like a work of art, it’s beautiful. Fire and ice together again to bring this neck design into reality. A jewelry design that you are sure to love. 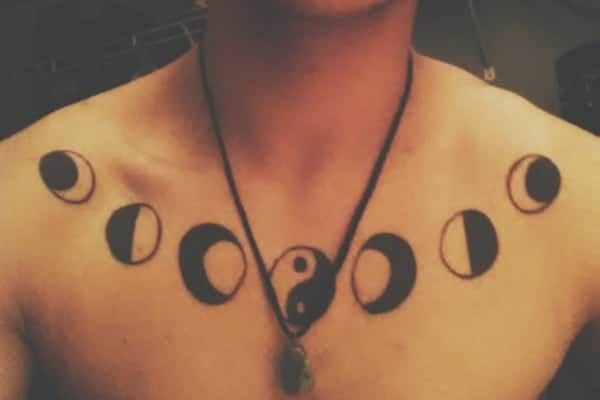 Another great example of the eclipse design but this one goes across the chest. 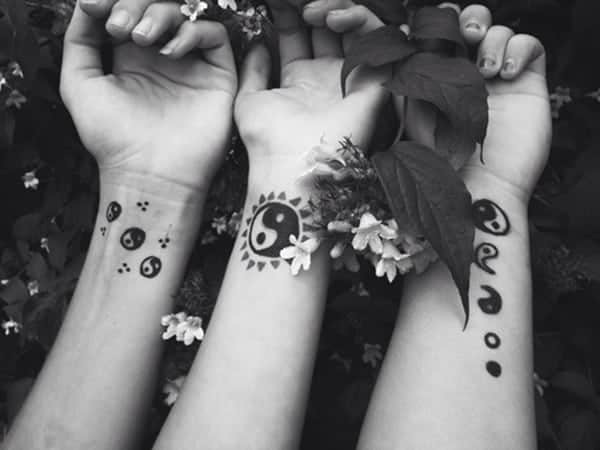 Three friends are sharing a tattoo idea but each one is different. You don’t need an outline to create a unique look that you will love forever. These two cats are light and dark, and they come together for balance. 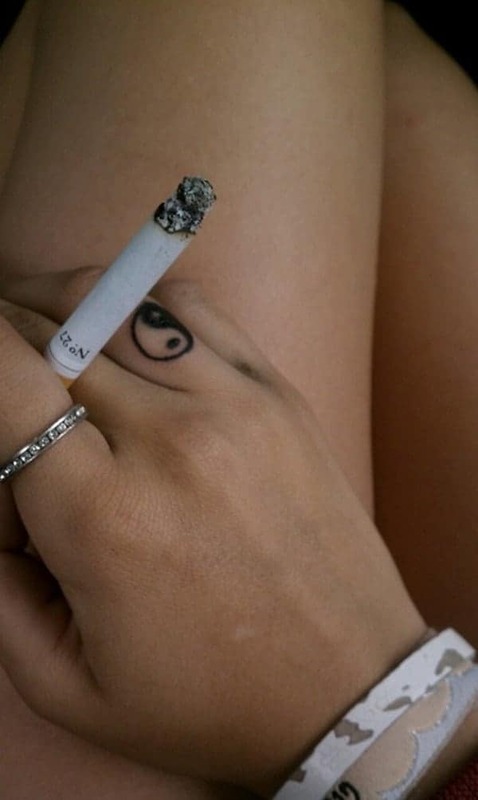 Each finger has a different design, and one of them is a Yin Yang tattoo. These designs are flawless; there are no errors in these designs. 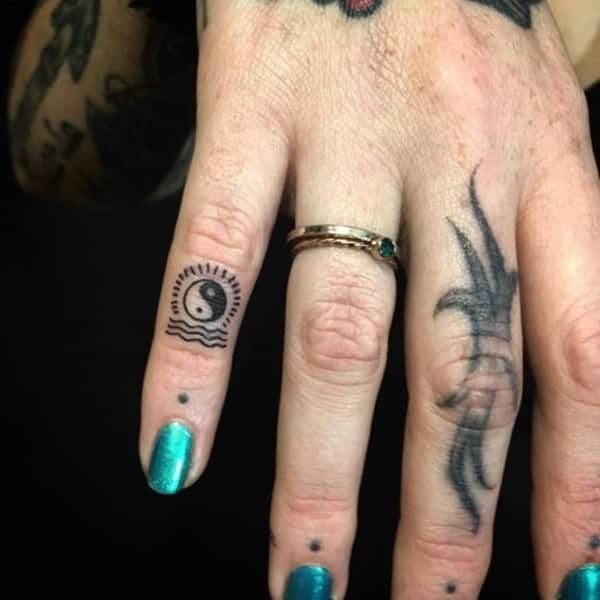 This symbol just tucks away on the finger, and it’s simple. 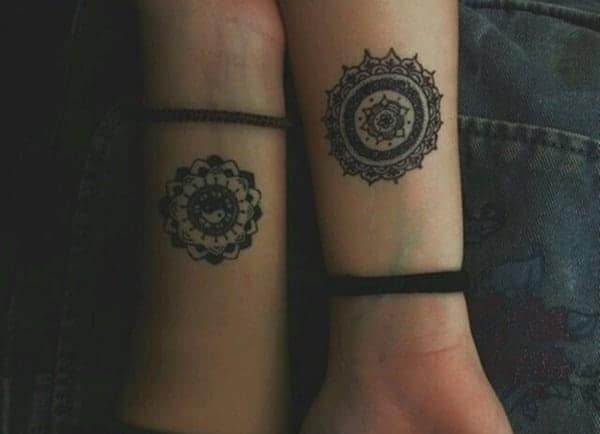 A pretty design that is also simple. 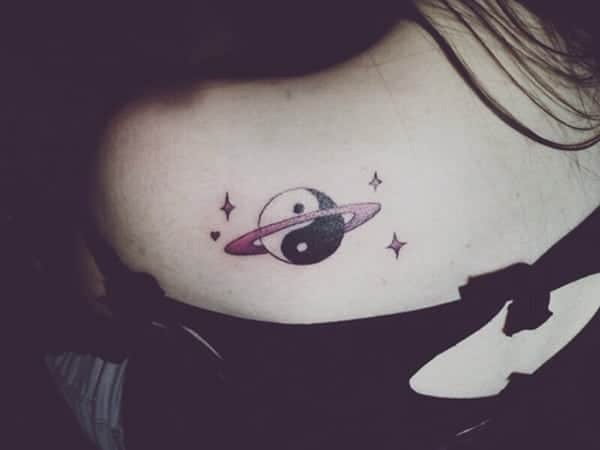 Add it to your shoulder for your own unique look. 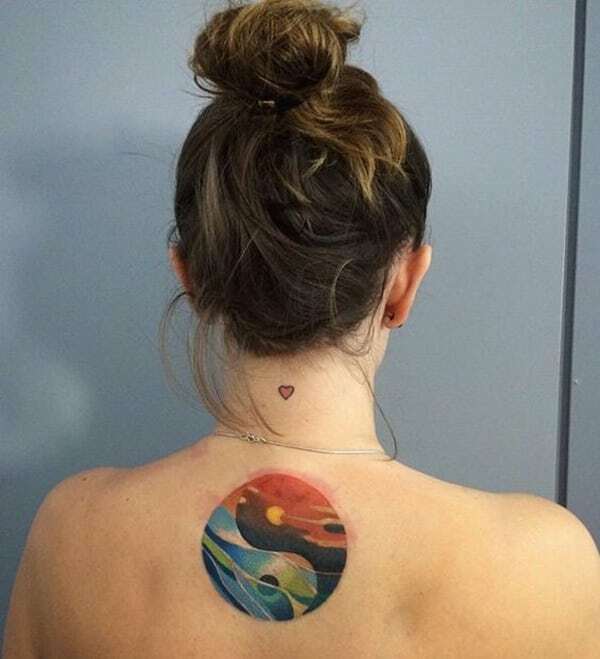 This tattoo uses the colors of a sunset and creates a design that is so strikingly beautiful that you can barely take your eyes off of it. 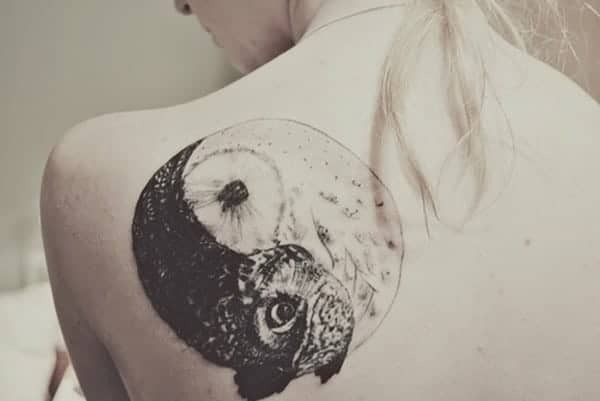 It’s a large tattoo, so you have to be okay with the commitment. 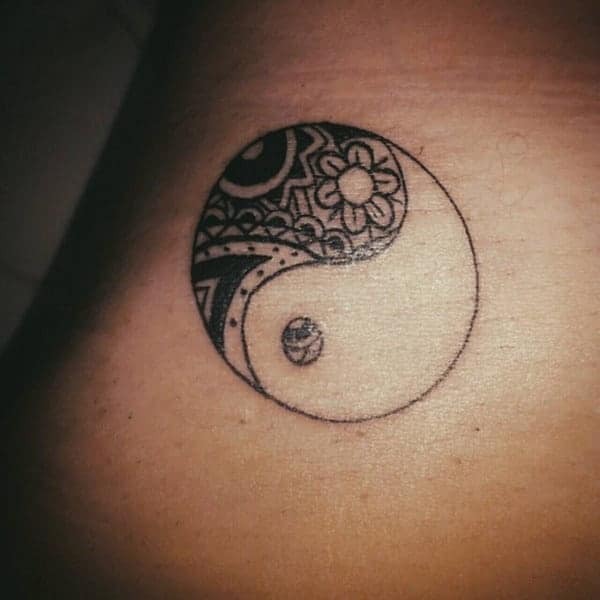 A simple design that can be placed anywhere on the body. 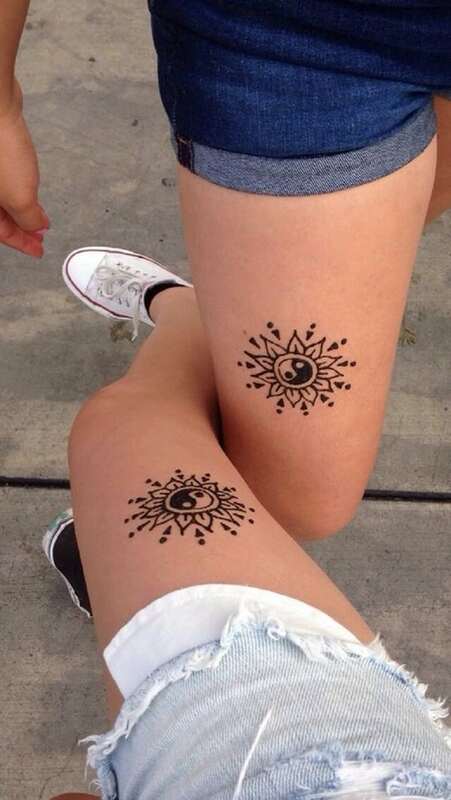 Share your passion with your friends and get ink as a memory. 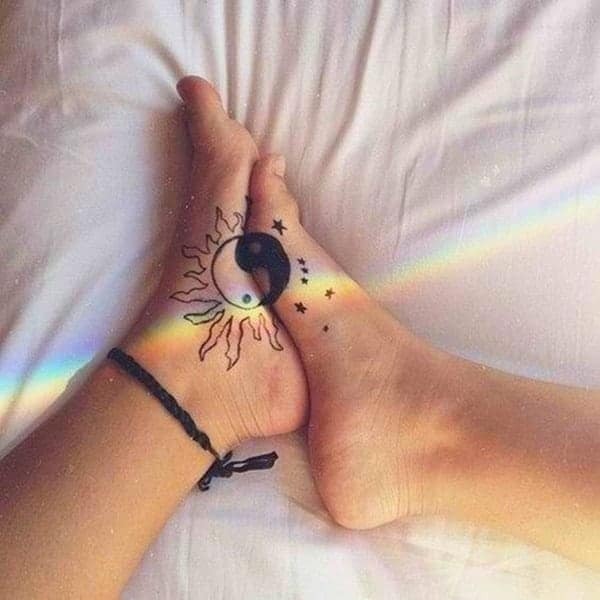 Fun designs that you are sure to make anyone happy. 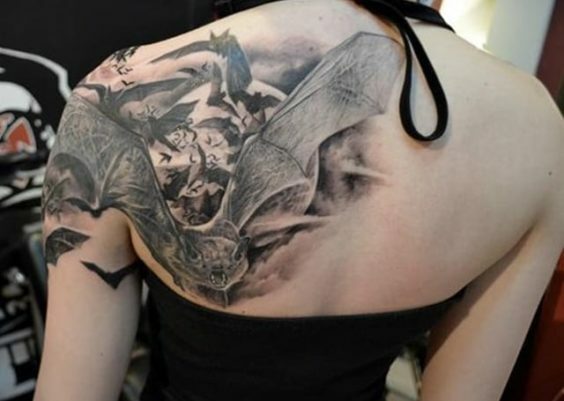 Another great example of the owl tattoos but these ones are in black and white. They are truly striking. Just add a bit of yellow to this design to really make it stand out. These colors are so beautiful that the design is seen as a true work of art. Just decorate one side to create and original design that you will love forever. Everyone loves the sun and so will you with this design. 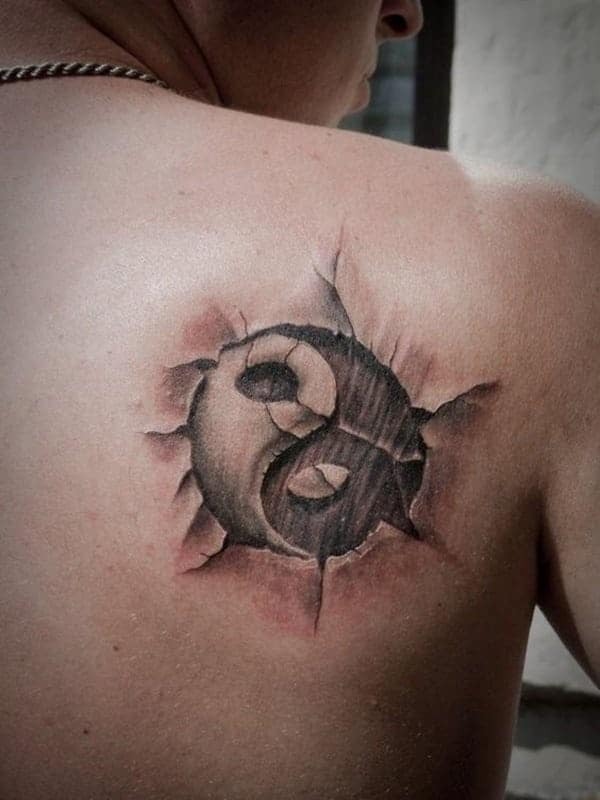 This shoulder design is striking with the sun and the moon together in the symbol. 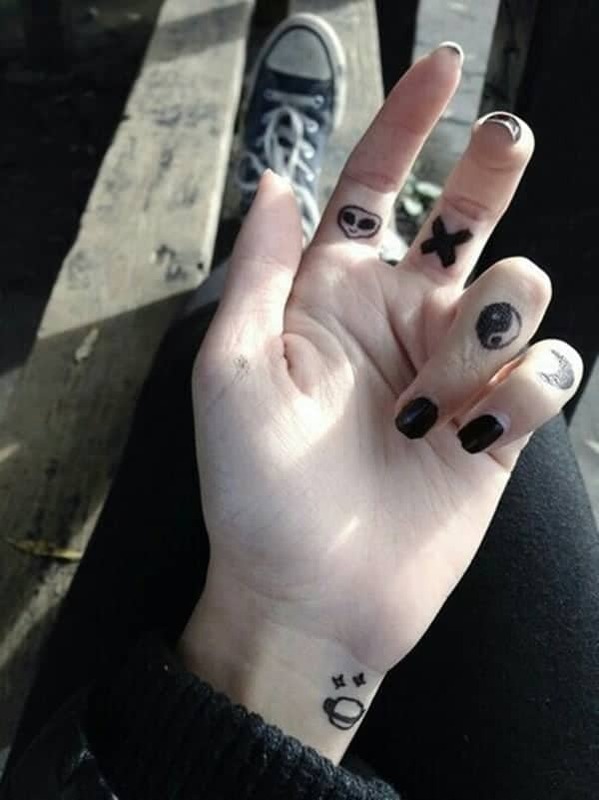 If you want something subtle, then go with a tiny symbol on just one of your fingers. 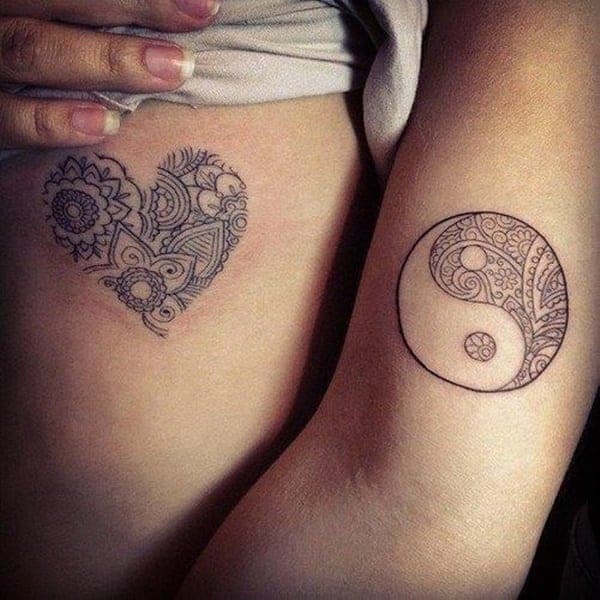 These different symbols all tell their own stories, and in this case, there is a Yin Yang symbol to complete the overall design.